Its apparent why Argentina has long held travelers in awe: tango, beef, gauchos, fútbol, Patagonia, the Andes. The classics alone make a formidable wanderlust cocktail. 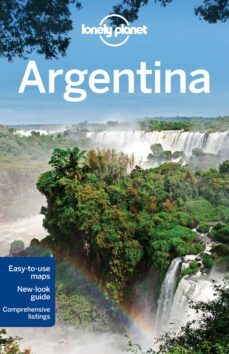 Lonely Planet will get you to the heart of Argentina, with amazing travel experiences and the best planning advice: Inspirational images, highlights, the best of local knowledge and recommendations from our expert authorsPlanning features and top itineraries to help you plan the perfect tripLocal secrets and hidden travel gems that will make your trip uniquePlus outdoor activities, the history of tango, Argentinian cuisine and staying on an estancia Coverage Includes: Planning chapters, Uruguay, Buenos Aires, Bariloche, the Lake District, Cordoba, the Central Sierras, Iguazu Falls, the Northeast, Mendoza, the Central Andes, The Pampas, the Atlantic Coast, Patagonia, Salta, the Andean Northwest, Tierra del Fuego, Understand and Survival chapters.